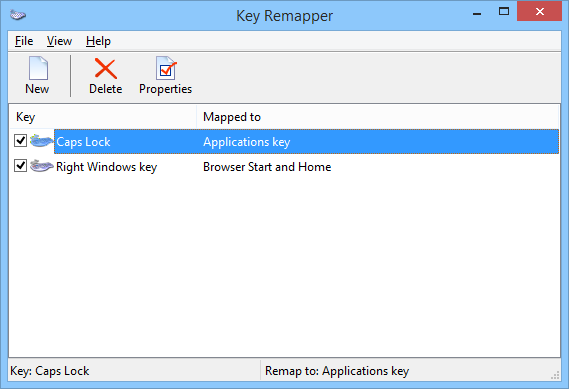 Key Remapper free trial version is available for immediate download. 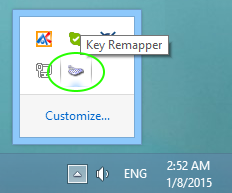 Just after installation the Key Remapper taskbar icon will appear, this means that Key Remapper is loaded and working. Double click this icon to customize keys remappings. Now you can create, edit and delete keys mappings. Main window contains the list of currently existing remappings. 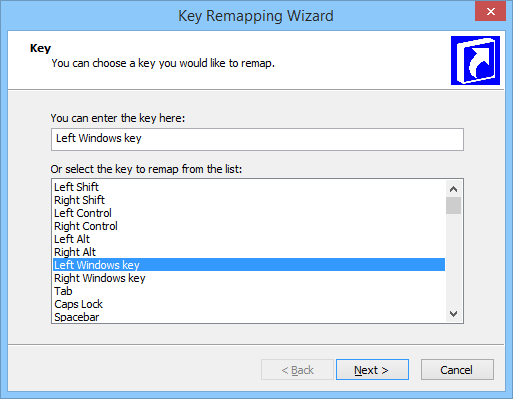 To create new key remapping the New button on toolbar - Key Remapping Wizard will appear. 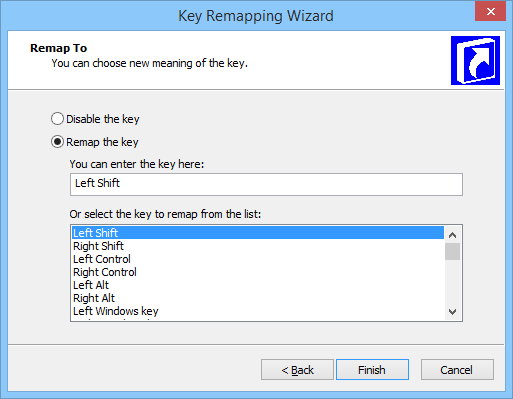 Using this wizard new mapping can be created: on the first page of the wizard you can select a key to be remapped. 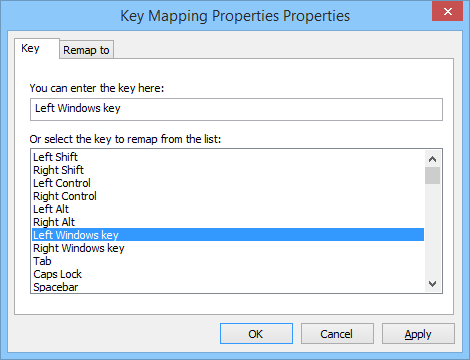 You can do it by two ways: press a key you need to remap, or select appropriate key from the list of all available keys. Then click the Next button. On the next page you can select new meaning of the key or disable the selected key. You can edit any key mapping by double clicking it, or opening Properties dialog using the context menu or the Properties toolbar button. Properties window will appear. It contain two tabs: Key and Remap To. These tabs are working in the same way as the similar wizard's pages. You can get free trial version on download page.